In this event you can meet with other interested developers to improve Eclipse projects. We expect you to know how to develop in Java. No previous Eclipse development knowledge is required but of course it is helpful if you know already about Eclipse development. We do Eclipse Hamburg Hackathons on a regular basis. 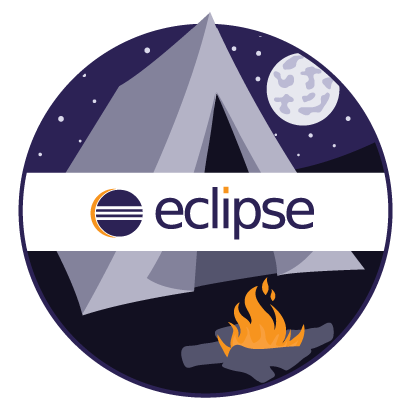 In this event we basically sit together can you can ask questions, see how other people work on Eclipse and find areas where you may want to contribute to Eclipse to improve your favorite framework or IDE feature. If you are an Eclipse user, contributor or committer, we hope this event will be a lot of fun for you. Attendees can hack away with the help of experiences Eclipse developers and can help to improve the Eclipse platform and its projects. So, bring your laptop and be ready to see some code! You choose what you hack during the event. For inspiration, the following projects might be interesting. Eclipse platform: List of bugs to fix. e4 Tools: List of bugs to fix. EGIT: List of bugs to fix. It will be helpful if you register your user already for Gerrit contributions and make yourself familiar with the Eclipse platform. See lists of resources for futher information. If you plan on attending, please add your name and email address to the list below. We use the email to notify you in case something changes. If you have any trouble with the wiki, just send an email to the organizers. Free edition of contributing to Eclipse book from Lars Vogel: You may start at chapter "II. Preparing code contributions to Eclipse platform"
This page was last modified 09:58, 19 June 2017 by Lars Vogel. Based on work by Fabian Pfaff, Stefan Winkler and Frank Gasdorf and others.